Scratching your noggin trying to find the perfect Halloween costume? It may be your costume that’s making you itch… from head lice. We usually see a jump in head lice this time of year. 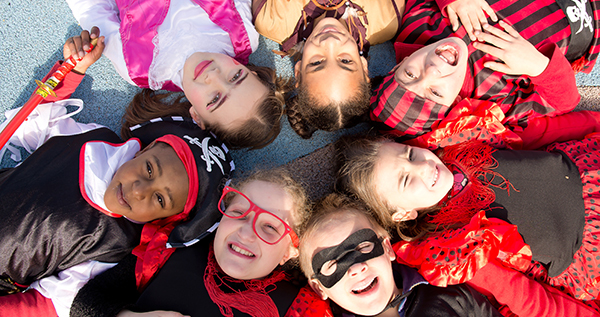 Although many people associate it with the start of the school year, the real cause could be even scarier – Halloween costumes. A lot of people go into stores this time of year, trying on masks, costumes and wigs without giving much thought into the fact that several people could’ve tried it on before them. Trying on Halloween costumes at the store could put you at risk for contracting head lice. If someone tries on a wig at a Halloween store, then it can easily help transport the lice from one person to another. Identifying head lice can be tricky. Symptoms of lice infestations include itching, sores on the head and a tickling feeling from the bugs moving around. All people who come in contact with the infected person should also check if they have contracted the bug because it spreads easily through clothing and other personal items. Never try on a mask in a store without wearing a bathing cap over your hair. Put your new costume into a tightly sealed bag for at least 48 hours before wearing it to kill off any lice that may be on it. Throw dryer-friendly costumes into the dryer for 45 minutes before wearing them. Though head lice are annoying they do not carry any harmful diseases, however a lice outbreak can seem like a real-life nightmare according to some funny tweets by parents.